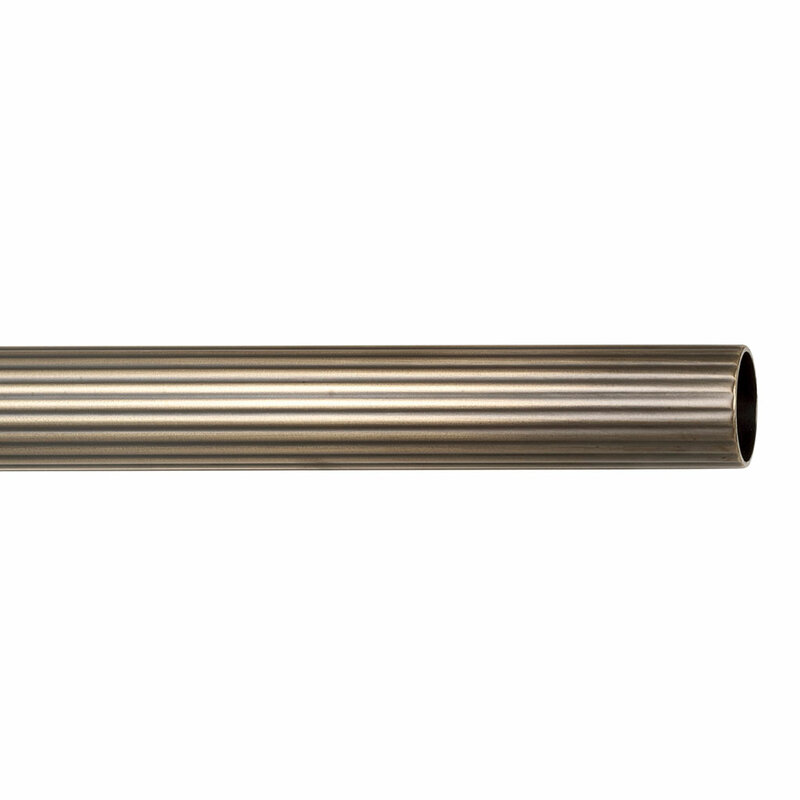 Our fabulous 25mm Antique Brass reeded curtain poles are the perfect companion for your curtains, ensuring they will continue to look good for years, in whichever room you hang them. Handmade at Jim Lawrence from natural, unlacquered brass and with a selection of lovely finials to choose from, they have a classic, weighty quality that will give you endless pleasure looking at them. Our brass poles are available in two diameters, 19 and 25mm, and are made to measure. We can make the poles at any length, but if you need 200cm or more, we recommend using a central bracket to help support them. If you need 300cm or more, they will be supplied in two parts with a central joining rod. 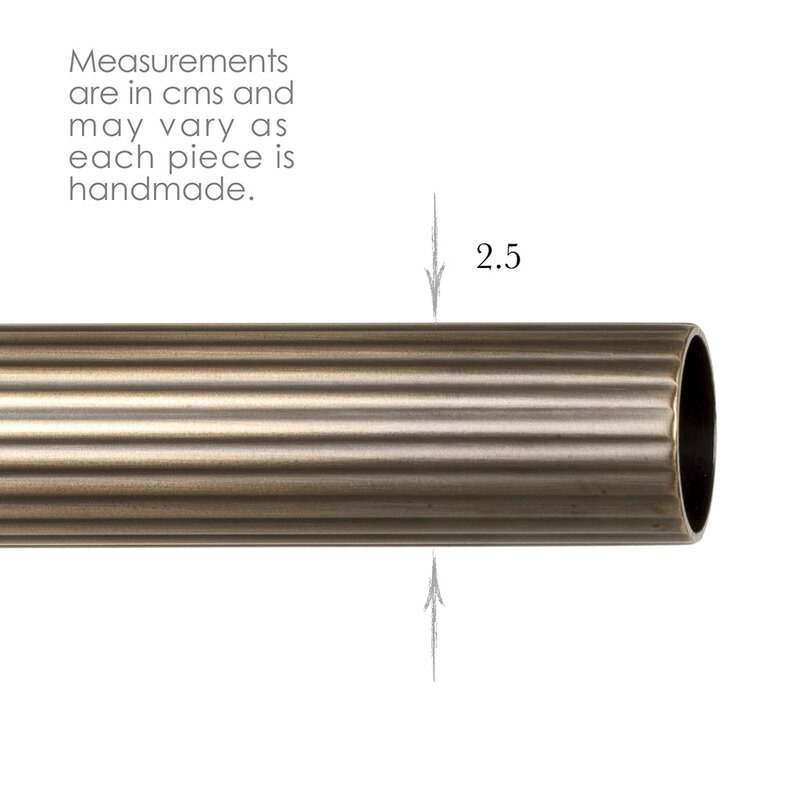 Please Choose from a range of 25mm finials to fit this pole. Antiqued Brass: Our most popular finish created by treating solid brass with antiquing solution to speed up the natural tarnishing process to create a lovely aged look that will darken naturally over time. To lighten the brass just buff it occasionally with a small amount of brass cleaner to return it to its original hue. To find out more about our finishes and how best to maintain them, please check out our product finishpages. Where does it look good? It looks equally at home in a modern property as it does a period one. Antique Brass will catch the light more than our painted finishes so is great to use if you want to make a statement, as it will help draw your eye to your windows. Our range of Antiqued Brass finials, brackets and rings to complete your look. 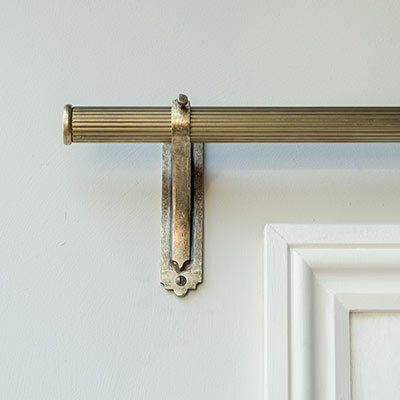 Matching your poles with our selection of brass window latches and stays. For a uniform look throughout your home, shop our stunning range of Antiqued Brass door furniture and electric switches and sockets.